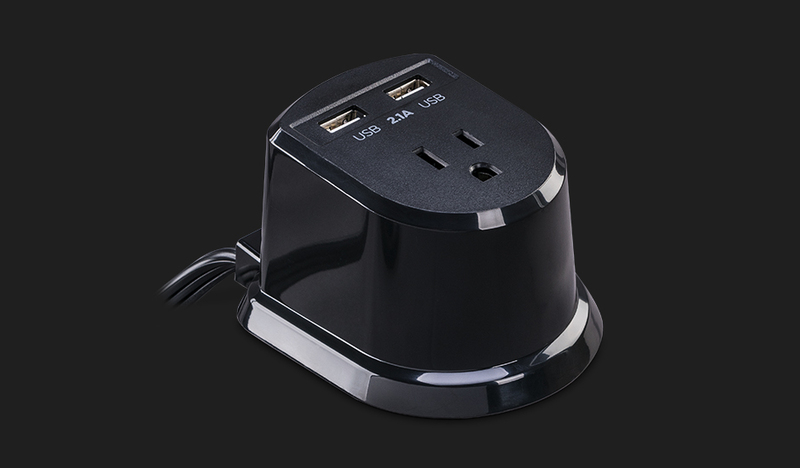 With two USB charge ports (2.1 Amp shared) and a three-prong outlet (NEMA 5-15R), the CyberPower CSP105U Dual USB Power Station provides quick charging power in a compact model. The CSP105U fits easily on a desk, end table, or nightstand. The USB ports offer power to swiftly recharge tablets and smartphones. Provides power without having to access inconvenient or hidden wall outlets.